Culture secretary Jeremy Hunt has accepted News Corporation's undertakings to spin off Sky News, clearing the media company's way to take full ownership of BSkyB. In a statement released this morning, along with the disclosure of reams of documentation detailing Hunt's advice from Ofcom and the OFT, and correspondence between the secretary of state and News Corporation, Hunt said he believed the proposed undertakings "will address concerns about media plurality should the proposed News Corporation/BSkyB merger go ahead". 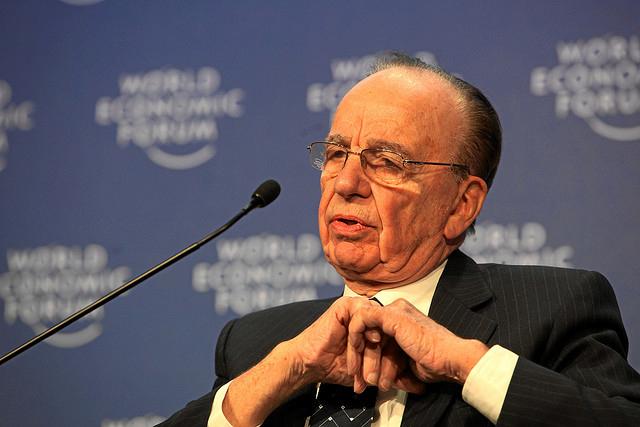 The undertakings propose News Corp will hive-off the loss-making Sky News as an independent public limited company. Shares in the company would be distributed among the existing shareholders of BSkyB, in line with their shareholdings. News Corp would retain a 39.1% stake in the new company, which it can not increase over an initial 10-year period, unless it has the Government's permission. BSkyB will licence the Sky News brand to the new company in a seven-year renewable agreement and will provide facilities and support, including financial, on an arm's length basis. This would include a 10-year carriage deal for the channel on Sky. To ensure editorial independence and integrity in news reporting, the company's board will contain a majority of independent directors, an independent chair, and a corporate governance and editorial committee of independent directors. Hunt said: "The undertakings offered would ensure that shareholdings in Sky News would remain unchanged, and indeed offer it more independence from News Corporation than it currently has. "Throughout this process I have been very aware of the potential controversy surrounding this merger. Nothing is more precious to me than the free and independent press for which this country is famous the world over. "In order to reassure the public about the way this decision has been taken I have sought and published independent advice at every step of the way, even when not required to do so by law. And I have followed that independent advice." Ending months of speculation that has galvanised Murdoch's rivals in joint opposition to the deal, Hunt has now opened a consultation period, due to end on March 21. Sly Bailey, Trinity Mirror chief executive, this morning described the decision as a "whitewash" and "a deal too far". She said Trinity Mirror would be reflecting before deciding what, if any, further action it might take. Were Hunt to accept the undertakings after the consultation News Corporation would avoid a lengthy Competition Commission investigation, though it is still possible the deal could be referred subject to the responses received during the next two weeks. The OFT also called on Hunt to further investigate "the viability and robustness of the commitments offered" by News Corp and said more negotiation for the undertakings may be necessary. The OFT said the undertakings in lieu [UIL] would make the spun-off Sky News viable in the short to medium term, though it would be more confident of this if News Corp agreed to additional undertakings, which still needed to be thrashed out. It noted News Corp had expressed unwillingness to agree to one of the additional undertakings during the period in the run up to today's announcemnet. The OFT also made clear that Sky News would be loss-making without the carriage agreement and the finite duration of the carriage agreement was a "material risk to the long-term viability of Newco [the spun-off company] and hence the UIL". In a statement News Corp said it welcomed the announcement. News Corp approached Sky last year with a bid of 700p per share to acquire the 60.9% of the company it does not already own. Sky's independent directors responded in June with the news they would likely accept a bid of at least 800p per share, but the two companies decided to cooperate with the regulatory process of securing approval for the tie-up before agreeing a price. News Corp may now have to pay much more than its original £7.8bn offer as Sky's share price rose 2.25% this morning to 817p.